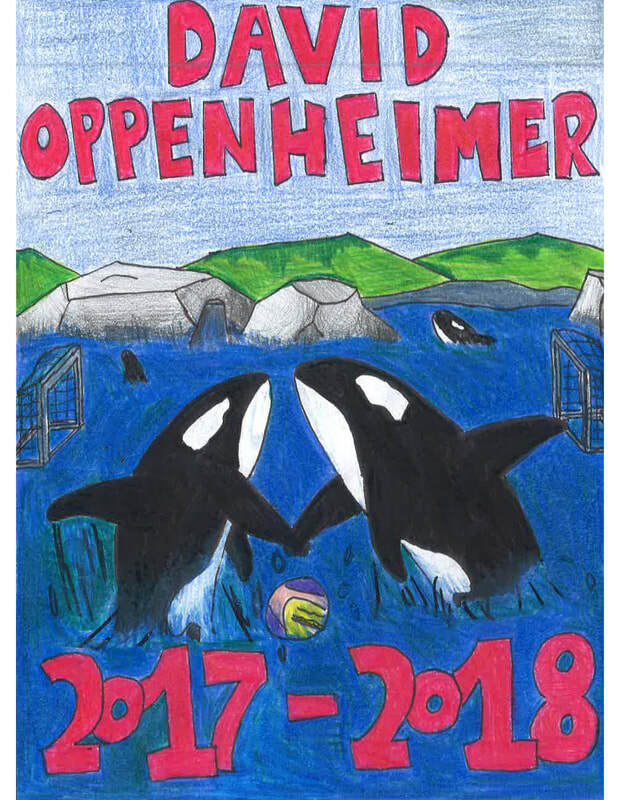 The school yearbook has long been a favored tradition at Oppenheimer elementary. 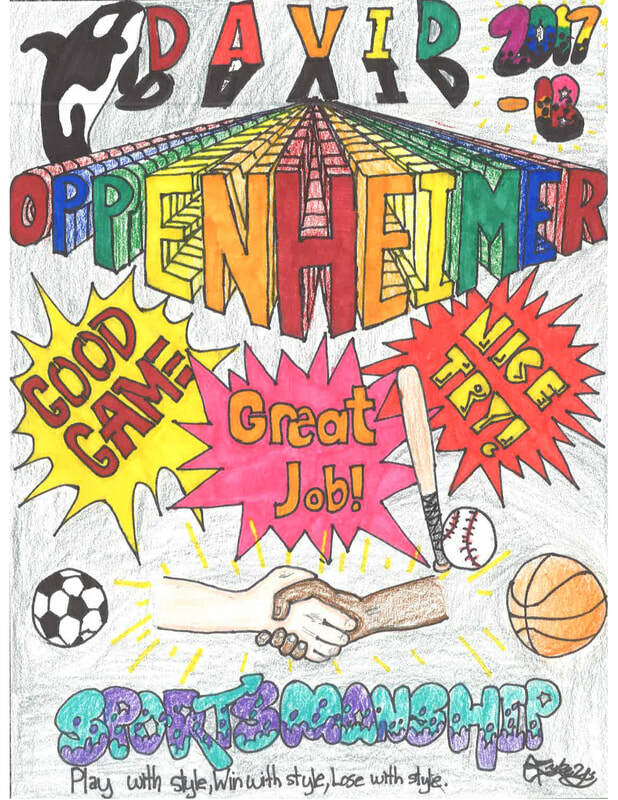 Each year special memories of our children’s school life at Oppenheimer are preserved in the 200+ paged annual book. The yearbook is lovingly compiled by a team of dedicated parent volunteers of the PAC yearbook committee. Members of the yearbook committee are not all professional photographers or graphic designers. Rather we are parents, who are willing to contribute time and a lot of heart to making the annual yearbook something to be treasured by our children and their families. Cover Art 2018 - Announcing the Winners! 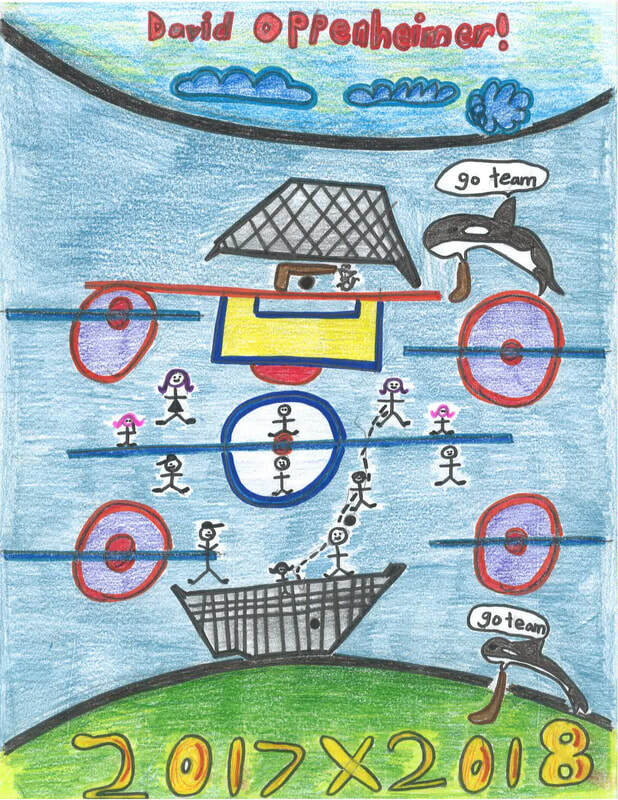 The cover art contest has wrapped up and there were many creative and beautiful works of art that celebrated Sportsmenship. Student council has voted and here are the winners and the runners up for this year's book cover that best represent the theme of Sportsmenship. 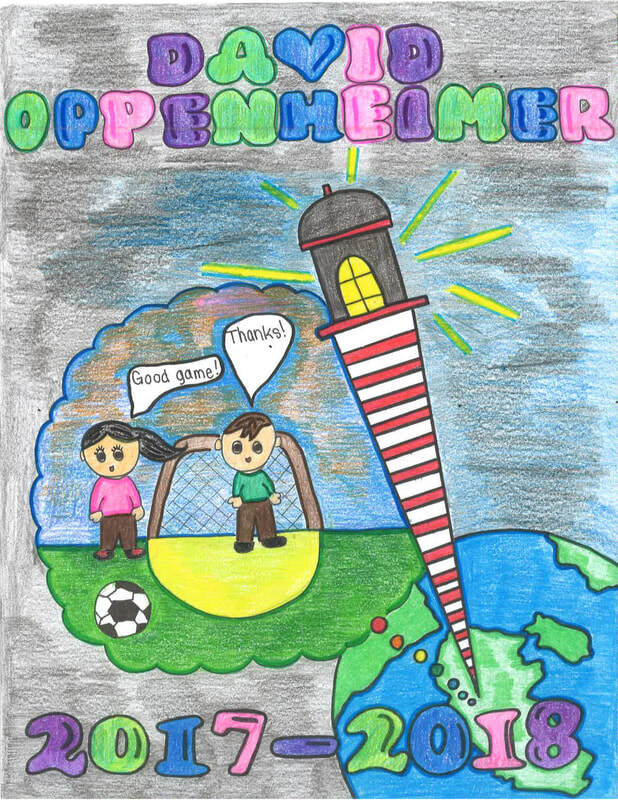 Congratulations Browen Yuan (Intermediate) and Angelica Hui (Primary) on creating the winning entries! Browen's art will be featured as the front cover and Angelica's art will be featured as the back cover. Congratulations are also in order for our runners up. Intermediate: Browen Yuan, Adeline Hui, and Luke Yu-Ng. Primary: Angelical Hui, Yalah Feswick, and Jovani. As stated in the contest, the winners will receive a free year book and will be featured here on the PAC website! All entries will be proudly published in the yearbook. Fantastic effort to all artists! Ordering will be on-line via our Munch-a-Lunch site. Proceeds of sales goes towards the overall fundraising efforts of PAC. Would you like to join the yearbook committee? We are very fortunate to have a fabulous group of dedicated and talented parent volunteers. We always welcome and need more parents who are willing to help out. The workload is much lighter when we share the tasks. If you enjoy taking photos, or enjoy digital photo scrapbooking, or if you have a talent for photo editing or publishing using tools such as Photoshop or MS Publisher or Word, we would love to hear from you. We work as a team, share ideas and always help each other out. It's a great group! Currently, we are in need of a classroom liaison and photographers. (Ideally this is a parent of a student in that particular class). If you can help take some photos of your child's class, or any special events or team sporting events, please contact Melissa Liu, our yearbook coordinator. What are tasks I can do if I join the committee? Depending on your interest and the time you have available, you can sign up for any of these jobs. - Classroom Photographer for a specific division (this person is usually a parent of that class). - Classroom Liaison (this person is usually a parent of that class). forward the pictures to the yearbook committee to create the pages. - Create and design digital page layouts in 8.5"x11" per page size for class and special events. You can use any software application. We only require that the final pages are formatted in PDF or JPEG. - Advertising coordinator solicits local businesses to place printed ads in our yearbook. Proceeds from Ad sales is added to our overall fundraising efforts for PAC. I’m a grandparent, can I help too? – Of course! We know there are many wonderful grandmas, grandpas, aunts, uncles, caretakers who are very active in the students' lives – and some are awesome photographers and technical wizards! We welcome contributions from everyone who is willing to share their photos and their talents. I have pictures from a school event, how do I share it with the yearbook team? If you have just a few pictures to share, you can simply email it to opp.yrbook@gmail.com with the subject line "yearbook photo submission + event name". If you have many images, please put them on a USB device and pass it along to your classroom parent liaison or your classroom teacher. We will return the USB to you once the photos have been downloaded. We do ask that only clear pictures with good resolution are submitted, as fuzzy, dark or low resolution pictures (sometimes taken with low res phones) will not be usable. We respect your privacy and the media exposure of our children. Afterall, we are parents in this school just like you. Photos are used for yearbooks and possibly for classroom or school slideshows that are assembled in-house by parent volunteers for sharing within the school and amongst classmate families. The yearbook committee does not publish your child’s photo or store the photos on any publicly accessible website without your consent. You can rest assured that your photos are safe with us. The school has a media consent that was sent home to each student’s family at the beginning of the year. It is important to know that if you did not return the form, or if you indicated “no” on the media form, we will remove any images or information about your child in the yearbook. If you indicated “no” on the consent form, but would like your child included in the yearbook, please email us as soon as possible opp.yrbook@gmail.com At Oppenheimer PAC, we take your privacy very seriously.